PHP is an acronym for PHP: Hypertext Preprocessor it is a widely-used open source(free). PHP is a server-side scripting language designed primarily for web development and web applications. Originally created by Rasmus Lerdorf in 1994. PHP files have extension ".php". PHP can be embedded within a normal HTML web pages. The PHP code is start and end processing instructions <?php and ?> that allow you to jump into and out of "PHP mode." PHP code are executed on the server, and the result is returned to the browser as plain HTML. PHP can generate dynamic pages and files. PHP can create, open, read, write and close files on the server. PHP can collect data from a web form such as user information. PHP can send and receive cookies to track the visitor of your website. PHP can Insert, delete and modify(Update) data in your database. PHP can restrict unauthorized access to your website. PHP can encrypt data for safe browsing over internet. PHP can send emails to the users of your website. 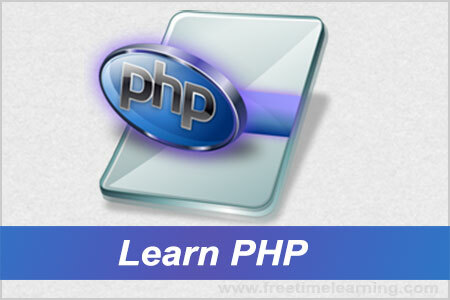 PHP is easy to learn and runs efficiently on the server side programming language. Easily create websites and web applications. PHP is an source code is source code freely available on the web www.php.net to download and use. There are no cost you can developed individual or commercial projects etc. PHP executes much faster then those scripts written in other languages such as JSP & ASP. PHP runs on various platforms Windows, Mac X, Linux & Unix OS etc. PHP is compatible with almost all local servers used today like Apache, IIS etc. PHP code can be easily embedded within HTML tags and script. A comment in PHP code is a line that is not read/executed as part of the program. The purpose of comments is to make the code more readable. It may help other developer (or you in the future when you edit the source code) to understand what you were trying to do with the PHP.